Monstrous Bodies "is a cultural and literary history of ambiguous bodies in imperial Japan. It focuses on what the book calls modern monsters" doppelgangers, robots, twins, hybrid creations bodily metaphors that became ubiquitous in the literary landscape from the Meiji era (1868 1912) up until the outbreak of the Second Sino-Japanese War in 1937. Such monsters have often been understood as representations of the premodern past or of stigmatized others figures subversive to national ideologies. Miri Nakamura contends instead that these monsters were products of modernity, informed by the newly imported scientific discourses on the body, and that they can be read as being complicit"in the ideologies of the empire, for they are uncanny bodies that ignite a sense of terror by blurring the binary of normal and abnormal that modern sciences like eugenics and psychology created. 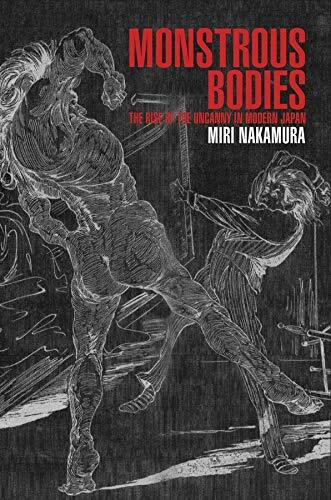 Reading these literary bodies against the historical rise of the Japanese empire and its colonial wars in Asia, Nakamura argues that they must be understood in relation to the most monstrous body of all in modern Japan: the carefully constructed image of the empire itself." Miri Nakamura is Associate Professor in the College of East Asian Studies at Wesleyan University.